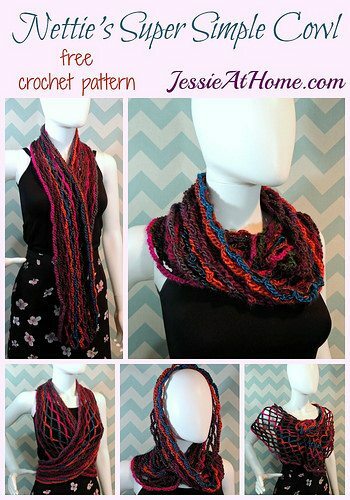 Here are some of Jessie’s newest crochet patterns for neckwear, which is one of the areas that she excels in as a crochet designer. Textured waves free crochet scarf pattern is a really unique design intended to look like it is made using crochet short rows but without actually incorporating that technique. It undulates visually and is also wonderfully cozy. 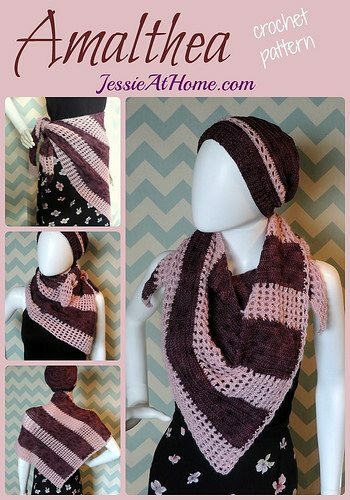 The Dragon Wing Scarf comes in two different patterns – a knit pattern and this crochet pattern. This has beautiful shaping and a great rich color. 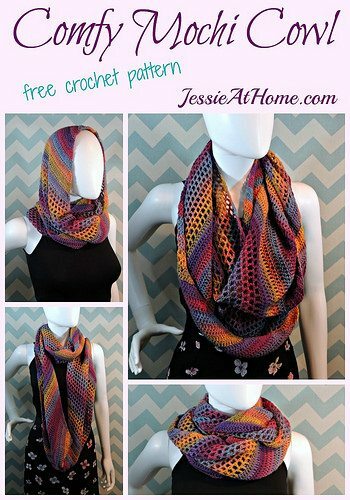 This is an easy free crochet cowl pattern that Jessie made using beautiful, colorful Crystal Palace mochi yarn. 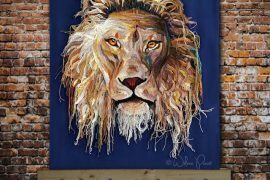 This is an excellent use of this unique yarn. Nettie’s Super Simple Cowl free crochet pattern uses the basic crochet chain as the core technique of the design. As you can see from the photo above, there is also a lot of versatility in how you can wear this. 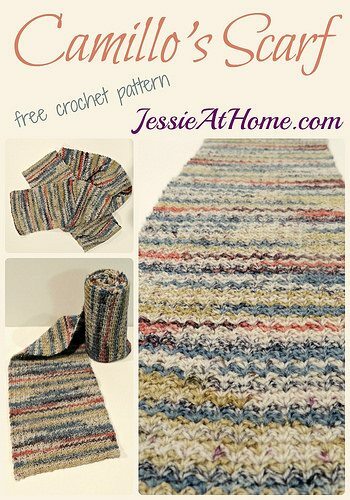 It’s a great crochet pattern for beginners. 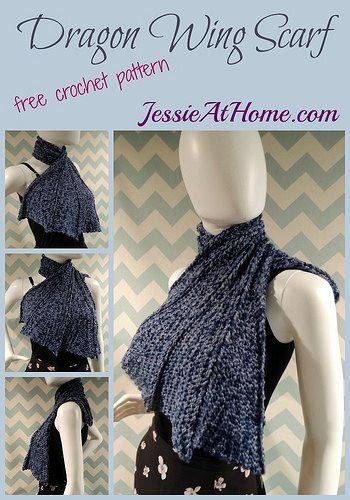 This is a one-skein crochet pattern for a chunky cowl that can be worn hooded. This is cozy and chic. 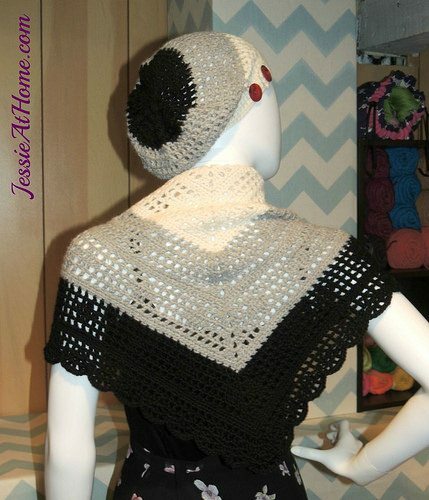 Jessie has some cute new crochet hat designs. 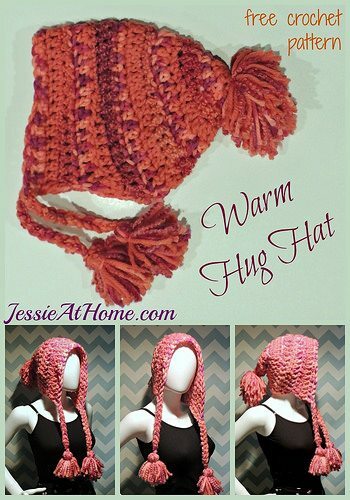 Jessie’s warm hug crochet hat pattern is a cozy, free pattern for winter with rear flaps and tassel details. 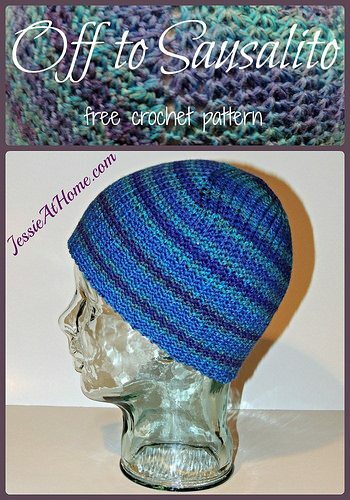 This crochet hat free pattern is a wonderful unisex design that can be adapted to different styles with the color choice. 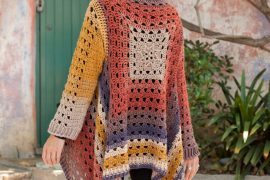 When worked with the right colors, it’s designed to go well with the Camilo’s Scarf crochet pattern shown above. 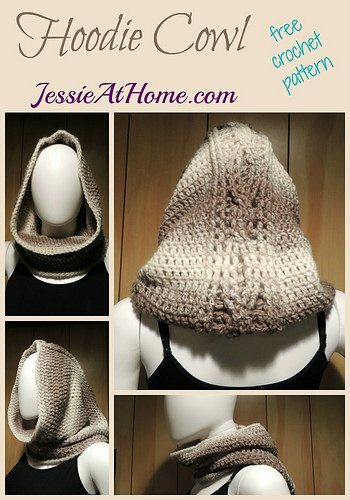 Cari crochet slouch hat free pattern by Jessie at Home, which matches her crochet continuous shawl pattern. Use one pattern or both! Amalthea is a crochet shawl pattern incorporating stripes of solid and lacy portions. Work it in two colors as shown here or just use a single color for a subtler difference between the stripes. 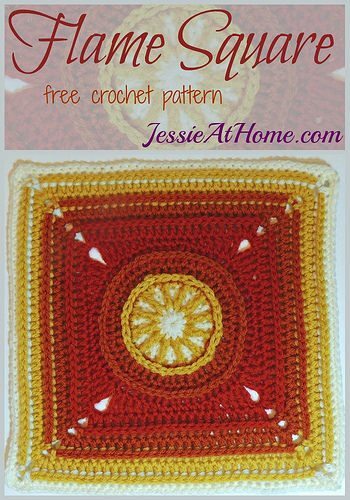 The Flame Square is a terrific crochet square free pattern worked in the round utilizing the texture of post stitches. This crochet square could be used for a diverse array of projects including blankets and cushions. This Textured Bath Mat free crochet pattern was printed in parts as a CAL and is now complete. 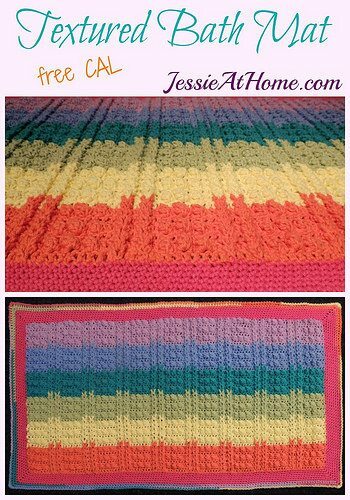 It has a terrific stitch pattern and a great rainbow hue. 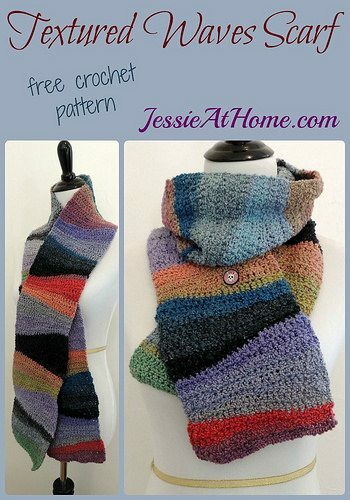 Of course, you could work this crochet pattern in another color scheme if rainbow crochet doesn’t suit you. The texture makes for a great bathmat whether it is worked in many colors or just a single solid color.